See the amount to be paid as school fees by the new and stale students of the Ondo State University of Science and Technology (OSUSTECH) for the 2018/2019 academic session. 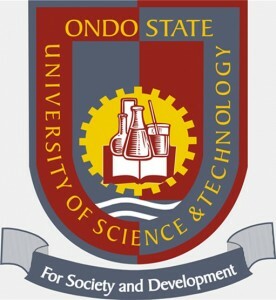 The management of the Ondo State University of Science and Technology (OSUSTECH) has released the amount payable as school fees for the 2018/2019 academic session newly admitted and returning undergraduate students. OSUSTECH 100 Level and 200 Level Students School Fees. Faculty of Engineering and Engineering Technology. Faculty of Agriculture, Food and Natural Resources. OSUSTECH Returning Students (200, 300, 400 & 500 Level) School Fees.